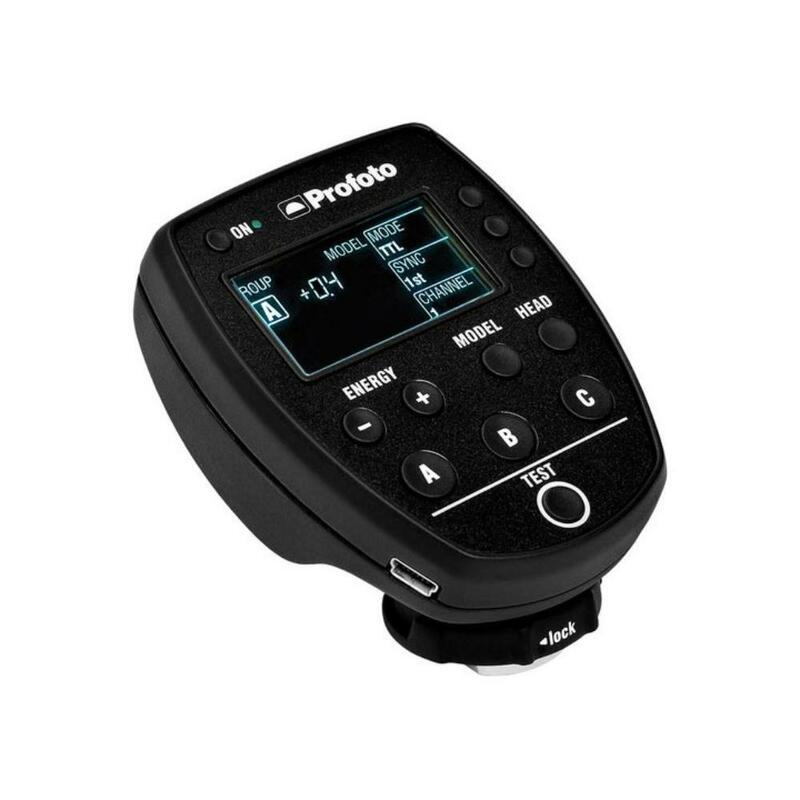 The Profoto Air Remote TTL-C Transmitter for Canon will wirelessly fire an AirTTL-compatible Profoto light from a Canon camera (it attaches to the camera's hot shoe). Each channel has a power ratio capability of +/- 2 stops with +/- 9 stops power variation for manual control. It also sports modeling light control, unit shut-down, and first/rear curtain control. control. Please see Notes for more on compatibility. • This transmitter allows TTL wireless firing between a Canon camera and AirTTL-compatible Profoto lights. The TTL-C will also trigger non-TTL Air heads and packs but without the TTL feature. • AAA batteries may not be included. Prepare accordingly.